Make any milestone year even more special with our Personalized Silver Oblong Bottle Opener with a Kate Aspen designed Anniversary print! 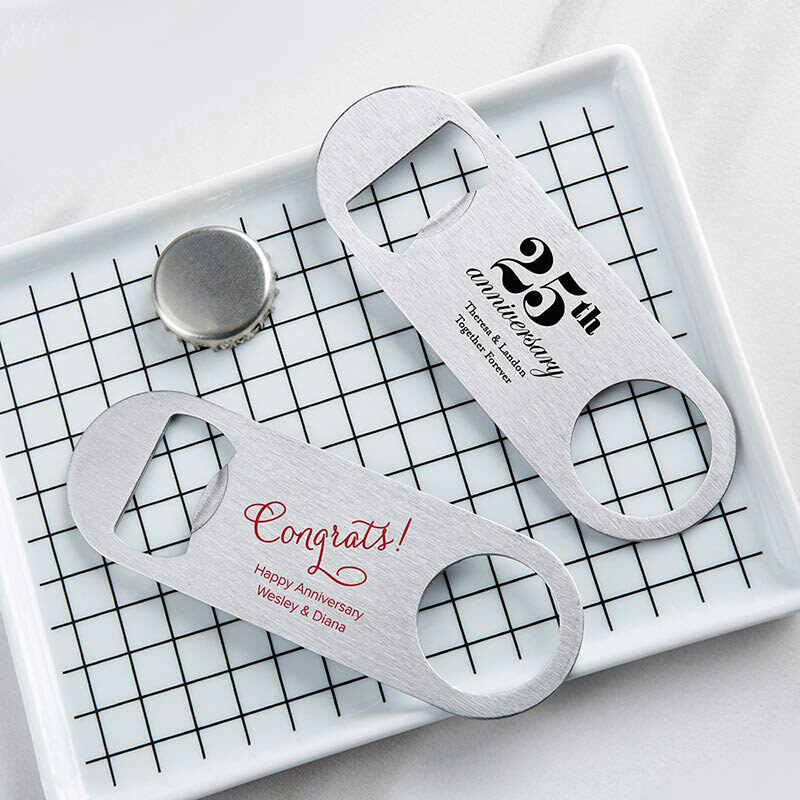 The anniversary print is customized to showcase your event details, and placed right onto the steel body of the small bottle opener between its dual edges. A perfect small gift, the beer bottle opener is just what you're looking for in a compact and easy to transport favor your guests will use again and again. Each time your guests pop a bottle to celebrate, they'll remember the incredible evening they spent celebrating with you! Stainless steel bottle opener with flat bar shape and dual side usage. Personalized with pad print in Anniversary design.